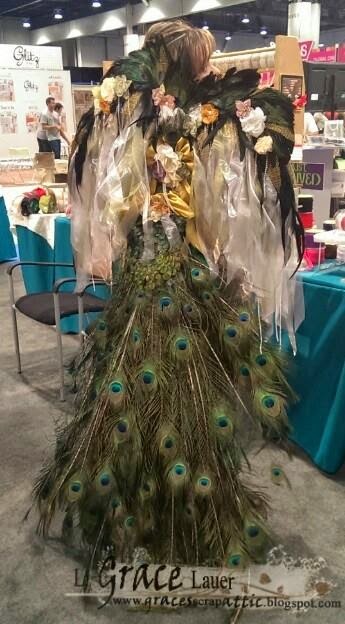 What better way to make a statement then a Peacock Couture Dress? 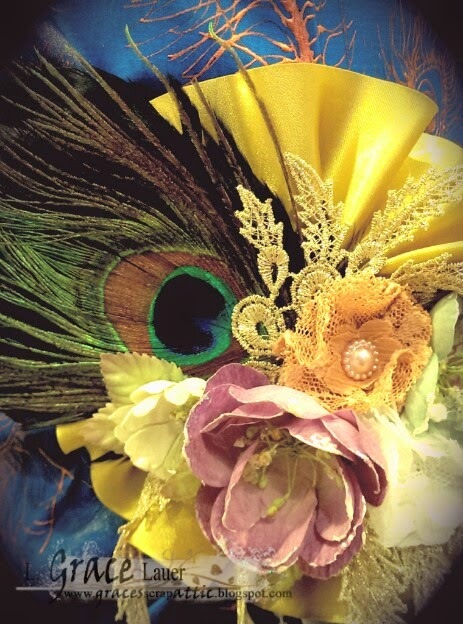 There are so many parts and details to this Crafty Couture project I can't even try to share them all with you. This will be a fun photo heavy post so enjoy the eye candy. 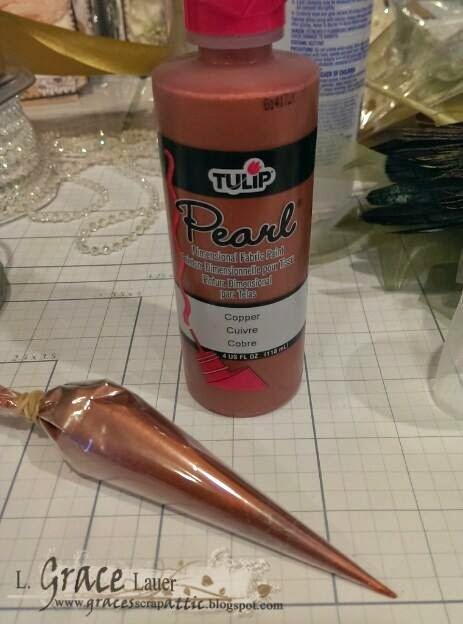 Tulip Fabric Paints, from I Love to Create were sued to distress the dress and to create a henna, mehendi inspired motif. 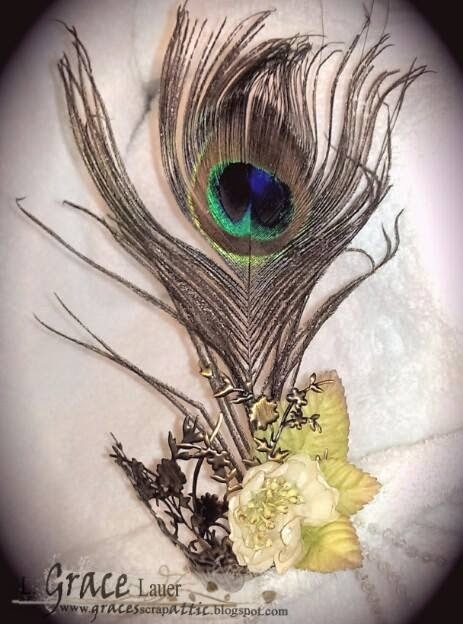 The Sash/pendant was created with May Arts Ribbons, Prima Marketing Flowers and peacock feathers. Held together with Helmar Adhesives. 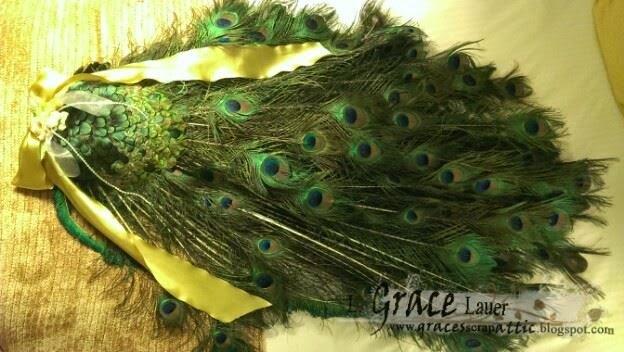 Close up of the sash/pendant on the dress. 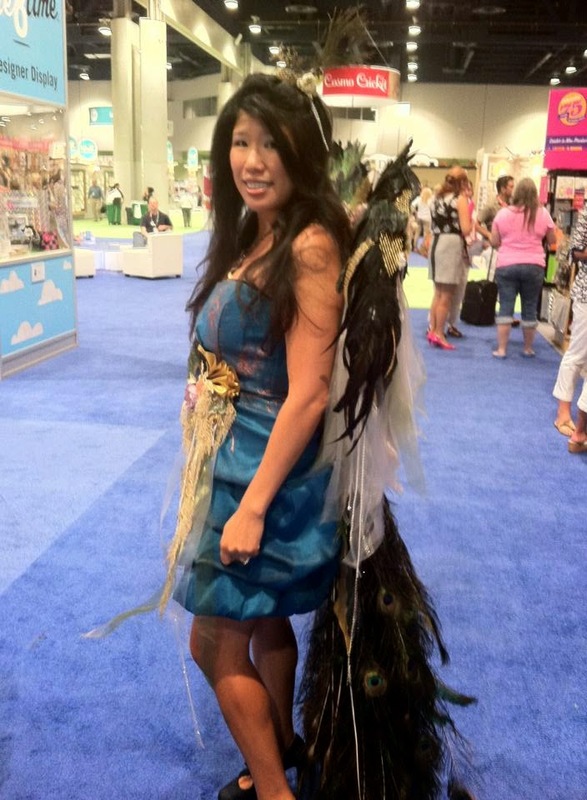 The base of the wings were created with PVC piping and a custom harness so they float on the back of the person wearing them, they are not tied on in any way. Makes for a comfortable piece that is able to be worn all day without any strain on the shoulders, skin, or even back. The harness was created in two parts. 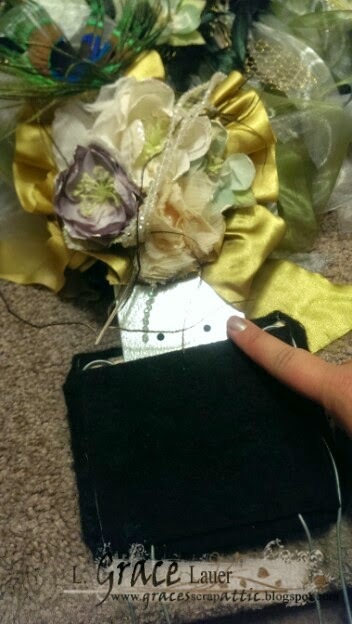 One part is very easily built into any dress or corset. This harness base is padded and can be worn all day. The second part is what the wings are build off of. 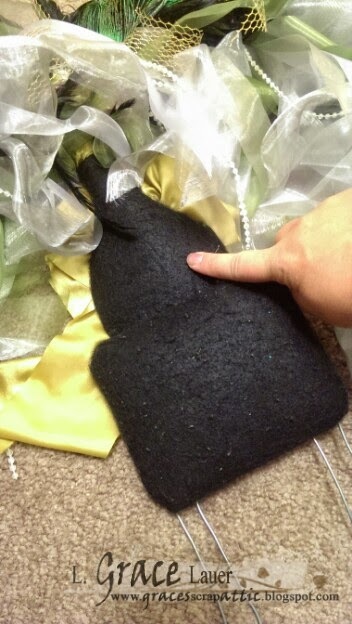 This part slides into the base for a quick and easy dress/undress with the wings. 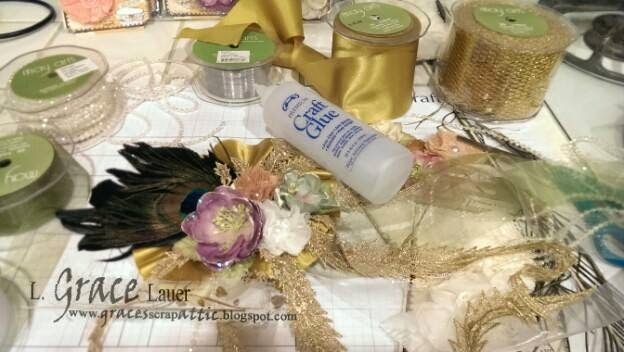 The wing decoration was created mainly with May Arts Ribbons (some hand cut into gold feathers), feathers and Prima Marketing Flowers. 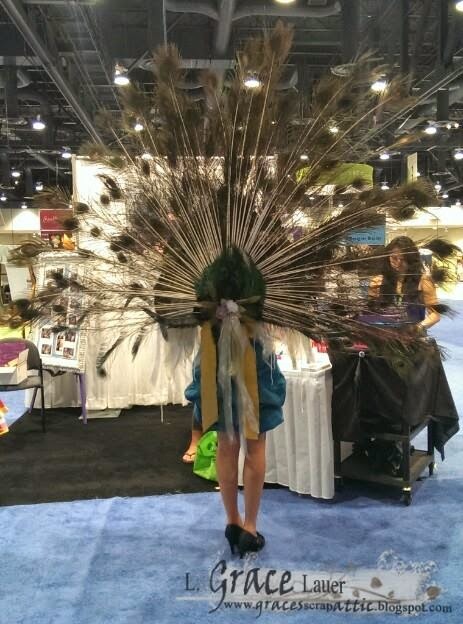 This photo is the back of the wings. The tail was engineered with my own design. 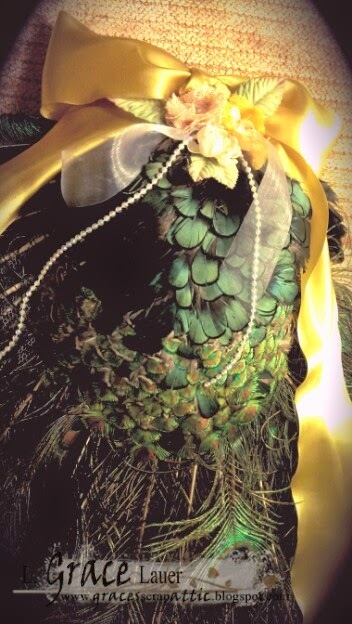 It moved freely to be fanned out like a live peacock on display then to lay down the back of the dress in a resting position like a dress train. It works with the pull of two strings. 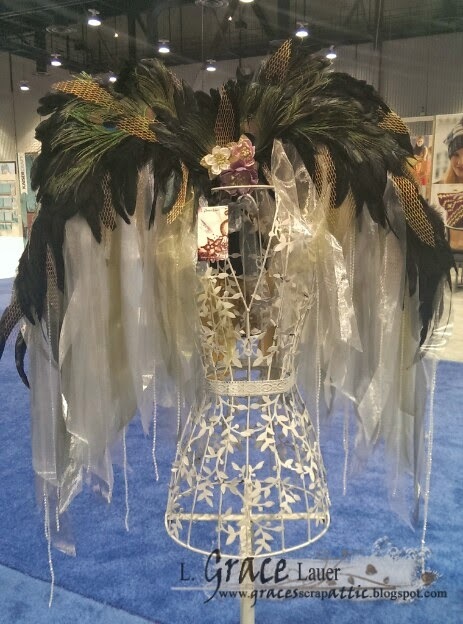 It was created with up-cycled items, netting, hardware and over 300 peacock feathers. 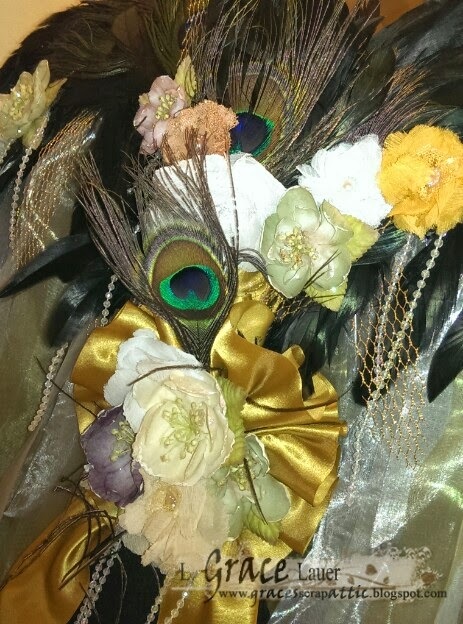 Accented with May Arts Ribbons, Prima Marketing Flowers . Close up of the details on the back of the tail when open. 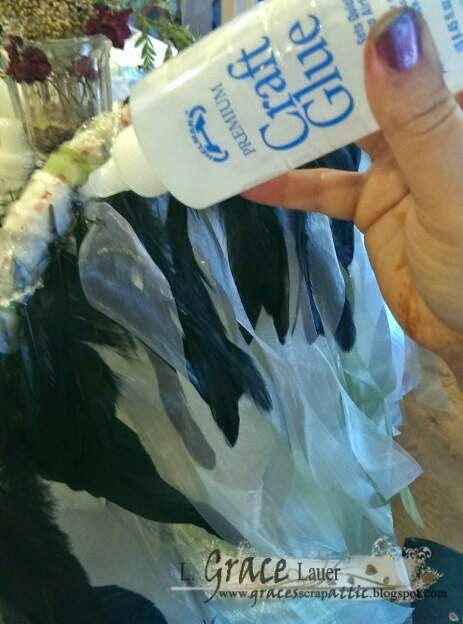 Close up of the top of the tail with the many smaller feathers. 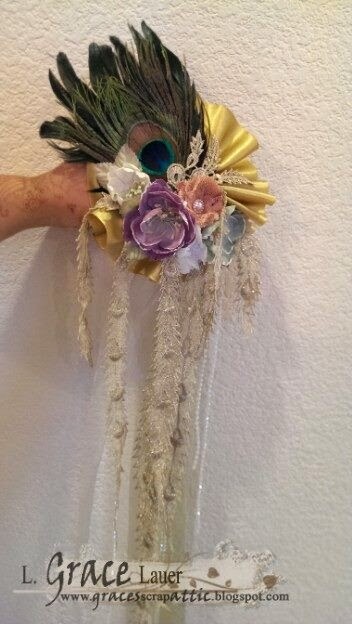 The crown consists of bits of metal Prima Marketing findings, some Prima Marketing Flowers and a few wisps of gems on a string from May Arts Ribbons. 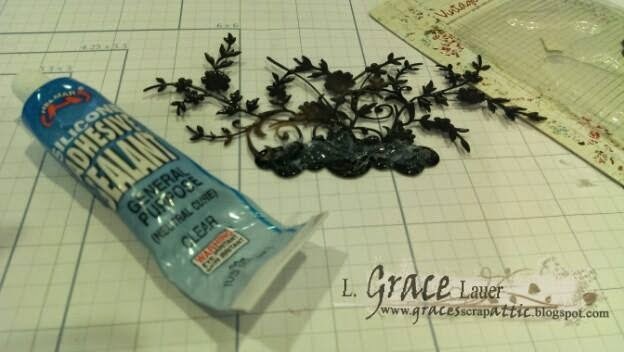 Photo of the crown while adhesives were drying prior to shaping. 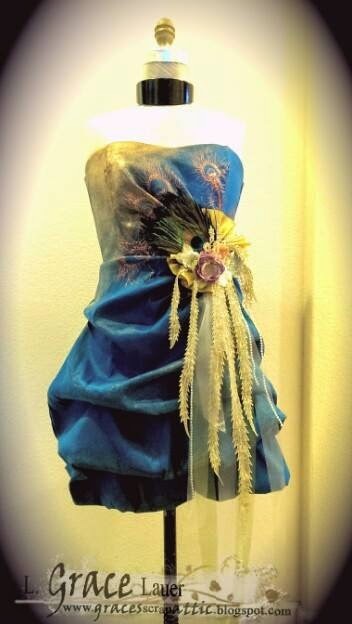 The outfit was created for Elena, from Charity Wings Art Center. She hosts a Live from CHA show every CHA event! 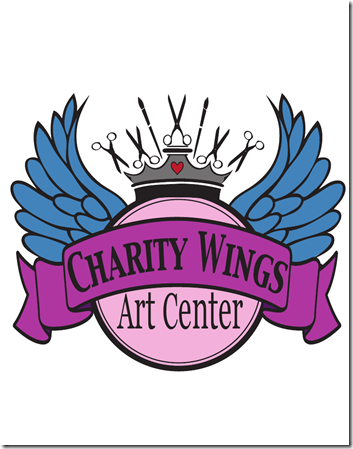 The work being done over at Charity Wings Art Center is fantastic please make sure you check out their webstie and join up as a member for online classes and to help support the arts! 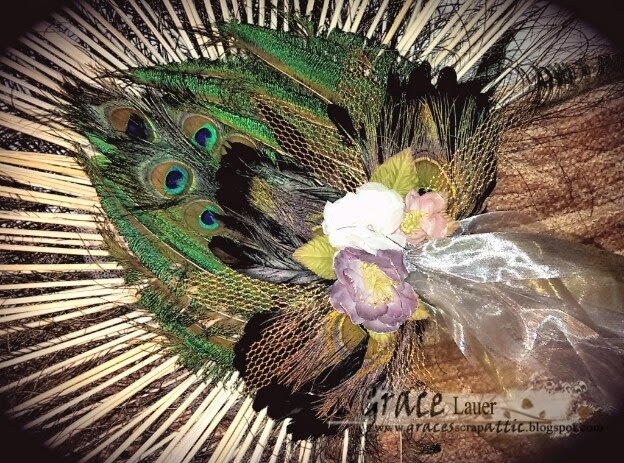 I hope you enjoyed this post and project details Have a wonderful day!. Have a wonderful day! 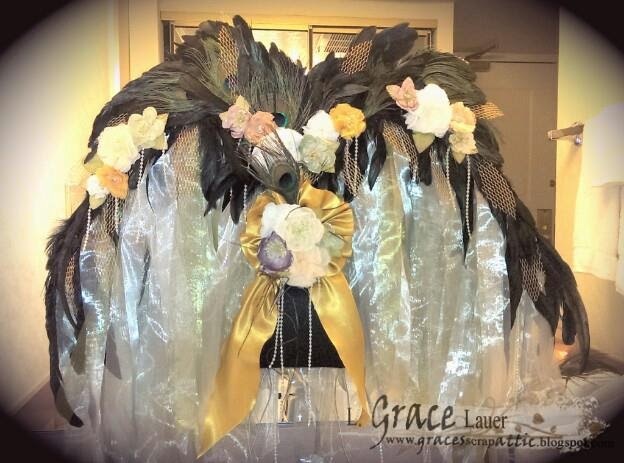 Please go vote for this project at The Craftys under Home Decor/DIY category. 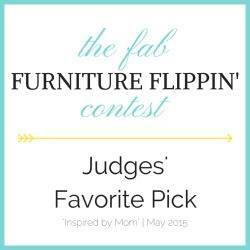 Don't forget to enter your project today, there are many categories!